Move Over Messy Braids - 7 *Stunning* Mehendi Hairstyles To Make You Look Like A Celeb! 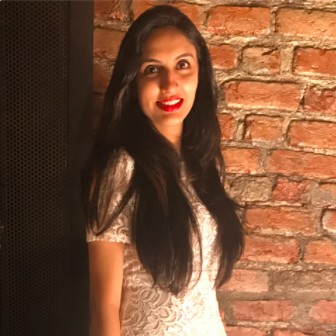 There’s something really comforting and easy-going about a messy braid and I understand that it’s an ideal hairstyle for your mehendi function. Even I would have opted for the same if I was in your place. But hey, think about it! 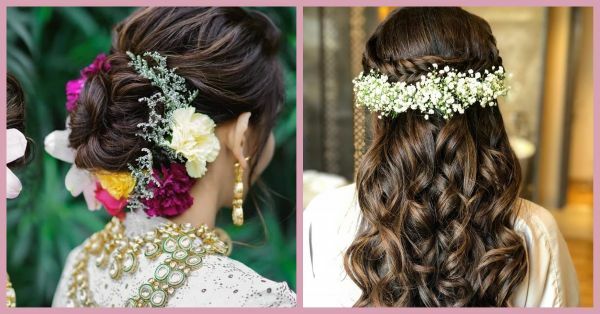 Messy braids have become the most cliche mehendi hairstyle and instead of being someone who just picks what everybody else is, try out one of these pretty hairstyles for your mehendi. We promise you won’t regret it! Classy chignons are not what you have in mind when you picture your mehendi look. But just because it’s not the norm, doesn’t mean you can’t try it. In fact, it’s not just pretty, but a convenient option too. It keeps the hair off your face so you’re not constantly asking your bestie to tuck that stray strand behind your ear! Add some tiny flowers or accessories to the hairdo, and sorted! A real-life princess… That’s the first thought that came to my mind after looking at this stunning bride’s hairstyle! A twisted and knotted hairdo that looks gorgeous and keeps your hair collected at the back. Lots of volume at the front and fresh flowers add all the charm. Okay, I get it. You’re not a bride who wants to go super OTT with your mehendi hairstyle. So let’s just save all the intricate hairstyles for the big day and ask you to let your hair down on your mehendi function. This half down braided hairstyle with loose curls and baby’s breath is as pretty as it gets. How many of you remember Princess Jasmine from Aladdin and her pretty and unique hairstyle? Well, that is exactly what this bride’s hairstyle looked like! Our Assistant Editor, Priyanka Ghura aced her mehendi look with a beautiful braid, loose side flicks and flowers that matched her outfit. It was her personal favourite hair look from her wedding and we have to admit that we love it too. A half twisted knot and half a messy braid, this is such a unique hairdo. Adorned with real flowers, this hairstyle will not only make your guests go wow but will give your look a classy upgrade. Match the flowers to your outfit or just add some pretty hair accessories to complete your look. I have really never come across a hairstyle that is so simple, so elegant and yet so high on style. Just a simple ponytail, skillfully rolled to perfection. No accessories or adornments needed, because it’s pretty perfect, as it is! Who said those elaborate floral buns are only apt for the wedding day? Take a cue from this bride who opted for a gorgeous twisted bun just like Anushka Sharma’s bun from her Tuscany wedding. We absolutely love the flowers… SO gorgeous! I am totally crushing on all these hairstyles. Which one is your favourite?